Meet Galko. Tall, buxom and fashionable. She's popular, and is viewed as a bit of a party girl. Although she can be sharp-tongued, she's a good person. One of her close friends is Otako, who is Galko's polar opposite. Small and frumpy, Otako likes to sit in the back of the classroom, but is somehow very close to Galko. To complete the trio is Ojou, an airhead from a rich family. Oshiete! 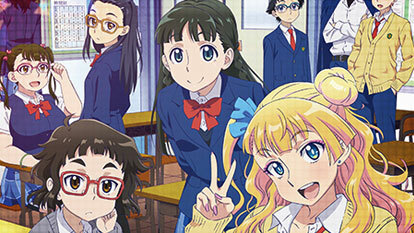 Galko-chan is a short anime about the daily lives and humorous discussions the girls have about various topics and myths regarding girls' bodies.